Sheila and her staff were very easy to work with - very thorough and professional, very attentive the night of the wedding. The pavilion looked fabulous and the food and service were top notch. 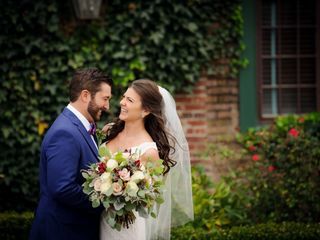 We are so happy we chose The Beaumont Inn for our wedding! This was the most amazing experience and we owe a lot of that to the Inn and Sheila. Sheila made sure everything was taken care of to keep us stress free. The food was amazing, the grounds was amazing and so was the staff. We highly recommend this venue they will make sure your day is YOUR day. My photographer got a large wine stain on my dress before I went out and Sheila came to the rescue as calm as could be and completely fixed my dress and saved the day! We loved The Beaumont Inn the second we walked onto the property. Every inch of the grounds is stunning and the pavilion gives off an amazing rustic elegant vibe. Sheila and the staff are wonderful. They made the whole planning process easy and they took very special care of every detail. We truly had no worries. The service and the food was incredible and our guests raved about everything. We had 2 guests who were ill at the last minute and they sent their meals home with their family members! I have certainly never been to a wedding where they have done that. That was above and beyond in my book! As the bride and groom, we had servers tending to our every need throughout the night. We truly had a perfect day and I would recommend The Beaumont Inn to anyone. My husband and I knew from the moment we saw The Beaumont Inn that is where we wanted to get married. The Grande Pavilion is absolutely beautiful. From the lunch while getting ready to the accommodations at the inn, everything went so smoothly. I didn't have to worry about a thing. Sheila and her team made sure we were taken care of the entire day. We couldn't have asked for a better wedding day!!! The Beaumont Inn is a gorgeous property and I cannot imagine having our wedding anywhere else. It was such a magical day. 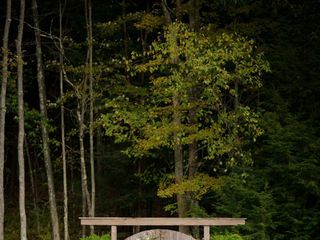 The ceremony on the patio was wonderful, and all of our guests were in awe of the pavilion. Everyone enjoyed hanging out by the fireplace throughout the night. The rooms were gorgeous and comfortable. Everyone raved about how good the food was! Shiela, the event coordinator, went above and beyond to make sure everything was perfect for our special day. It was such a wonderful day thanks to the great facilities and staff at the Beaumont Inn! 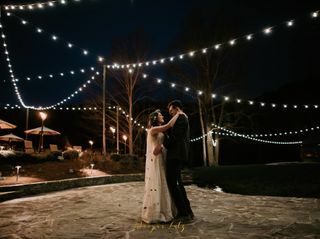 Thank you Devin and Alex for so quickly leaving a review about your wedding day with us! It was a pleasure working with you both and we hope to see you again soon! The pictures are gorgeous.... Enjoy being Mr & Mrs!!!!!! Where to start... My wife and I got married at the Beaumont on 10/21/17 and experienced what had to be the best night of our lives. Sheila, Sarah and the entire Beaumont staff have something incredibly special and make sure everyone partying, drinking, eating and staying with them at their Inn feels that same way each and every minute. The atmosphere, the lodging, the scenery and the food was exceptional. Every aspect of our wedding day/night was incredible from start to finish and it was the perfect way to start our life together as husband and wife. Thank You for everything! Writing this review from the Philly airport while we’re still in pure bliss from our wedding at the Beaumont two days ago. Can’t thank Sheila and the entire staff enough for the most PERFECT day. From the very beginning in our first planning stages (and learning how to navigate AllSeated and HoneyBook!) to the rehearsal dinner, to the late night panini stations (highly recommend!) on Friday night, we couldn’t have asked for a better experience. 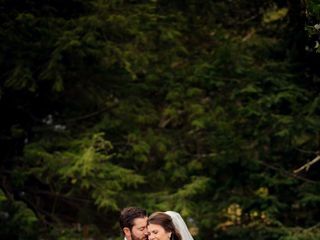 During the entire time of planning, Sheila and Rob made sure to communicate with us and fought to give us the most perfect venue — they delivered. Our guests couldn’t stop raving about everything from the venue to the food, to the service. We are so fortunate to have had such a wonderful, seamless experience. Thank you to everyone at the Beaumont! Where do I begin.... Our wedding at the Beaumont was a dream come true !! It was more than we could have ever imagined. The food, the pavilion and the grounds were PERFECT!!! Sheila was extremely helpful and accommodating from day. I would also like recognize Sarah,Channing,Tracey and all of the other staff. ALL of them went above and beyond not only for us but our guests as well...Thank you Beaumont for making our special day perfect !!! I rated it a 5.0/5.0 but just realized it is only coming up 4.8/5 ! Definitly more like a 10/5 !!!! Amazing!!!!! Can't wait to celebrate our anniversary back at the Beaumont Inn !! We wanted a weekend with our family and friends to celebrate our wedding, not having to worry about going anywhere after arriving for our rehearsal. The Beaumont Inn provided an intimate location where we were able to sleep, eat, and do the getting ready process which very much reminded me of a larger version of my home. The rooms each had their own unique style and both the beds and showers were perfect comforts after each hectic day. The team did an amazing job of organizing and seeing to every little detail that came up along the way. Shelia was wonderful to work with, between her professional suggestions and attention to details she made our vision come to life. Chef Jeff worked with us on creating he perfect menu within budget and the end result had all of our friends and family raving! Channing, Tracy, Cassie, Tim and the rest of the staff were beyond attentive in service. For us, the real testimony of their excellence was how they took the issues that came up and turned them around, going above and beyond to make it right. I know we will be coming back often for more dinners and events to relive this special weekend. 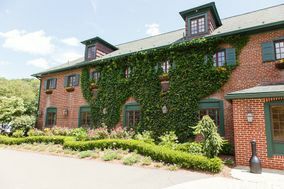 The Beaumont Inn is an exceptional wedding venue. The service, food, and atmosphere were beyond what we could have imagined. 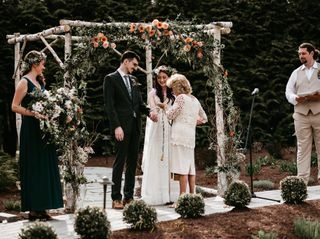 Service: Our wedding coordinator, Sheila, was professional, helpful, and communicative from our first meeting until I walked down the aisle. She answered all of my questions and helped keep the wedding planning on task. She helped with coordinating all the vendors and was there to answer any of their questions. There was a huge rain storm right before our ceremony. Sheila tracked the storm right down to the minute. She coordinated delaying the ceremony for a half hour, talked to my vendors, and had the chairs wiped down and ready to go the minute it stopped raining. It greatly reduced my stress. In addition to Sheila, Jeremiah, the General Manager was fantastic. He took over as soon as I walked down the aisle. He ensured that everything was operating smoothly (I mean everything). The service during the cocktail hour and reception were above and beyond. Food: The food was amazing! Each filet was cooked perfectly, the salmon was incredible, and the chicken was delicious. We picked the Beaumont specifically for their reputation for good food, and they did not disappoint. All of our guests raved about the quality of the food. Thank you Chef Huntzinger and team! 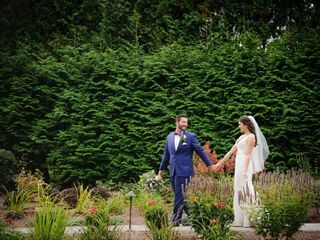 My wedding was June 24, 2017 at the Beaumont Inn and it was everything I could have dreamed of and more. 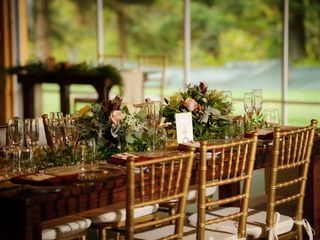 The food was outrageously good, the staff was very professional and accommodating, the tent was beautiful, the grounds were perfect. It was an elegant outdoor wedding which is exactly what we wanted. I can't say enough about the perfection that was my wedding day and how thankful I am to each and every person at the Beaumont who contributed! Love you guys and we will be seeing you! We chose the Beaumont Inn as our wedding venue. Our ceramony, coctail hour, dinner and reception were held here. The grounds are absolutly lovely. Nancy was very kind and helpful in our planning, and especially before the ceramony, when I was a bundle of nerves. Everyone commented on the quality of the food. Tom, the general manager, was especially accommodating to our needs.